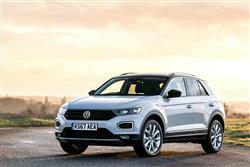 The T-Roc is one of Volkswagen's most important models for years, representing the brand in the affordable style-conscious end of the fast-growing mid-sized SUV segment. 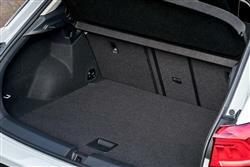 Almost everything you can't see on this car comes from a Golf hatch, which is no bad thing. As for the stuff you'll admire in the driveway, well it all looks satisfyingly fashionable. 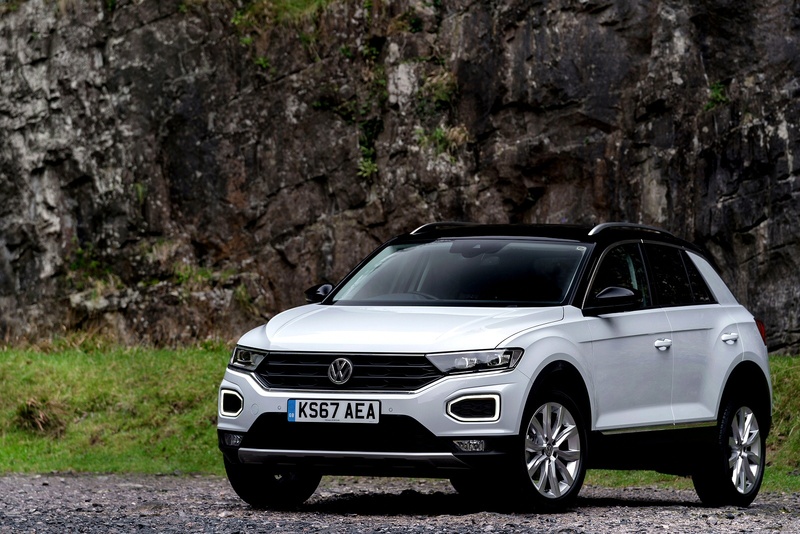 Volkswagen used to be properly represented in the mid-sized family SUV 'Qashqai-class' by its Tiguan model, but that crossover has been eased up-market in recent times, leaving a space into which the brand is slotting not one but two new SUVs. One is the Polo-based 'T-Cross' but here, our focus is the slightly larger Golf-based 'T-Roc'. It's the funkiest model of this kind we've yet seen from the Wolfsburg maker. It's there to take on not only the Qashqai but also a flood of other similarly sized and orientated SUV models that have hit the market in recent years, including the Vauxhall Grandland X and the Renault Kadjar, as well as in-house Volkswagen Group competitors like the SEAT Ateca and the Skoda Karoq. So this T-Roc will need to be good. 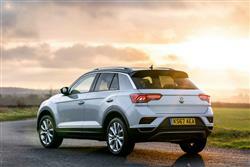 The T-Roc gets the usual range of turbocharged Volkswagen Group engines. There are three TSI petrol engines, a 115PS 1.0-litre unit, a 150PS 1.5 and a 190PS 2.0-litre powerplant. And two TDI diesels, a 115PS 1.6 and a 150PS 2.0-litre. Providing you avoid the base 1.0-litre petrol and 1.6-litre diesel units, you'll also get the option of DSG auto transmission and 4MOTION 4WD. 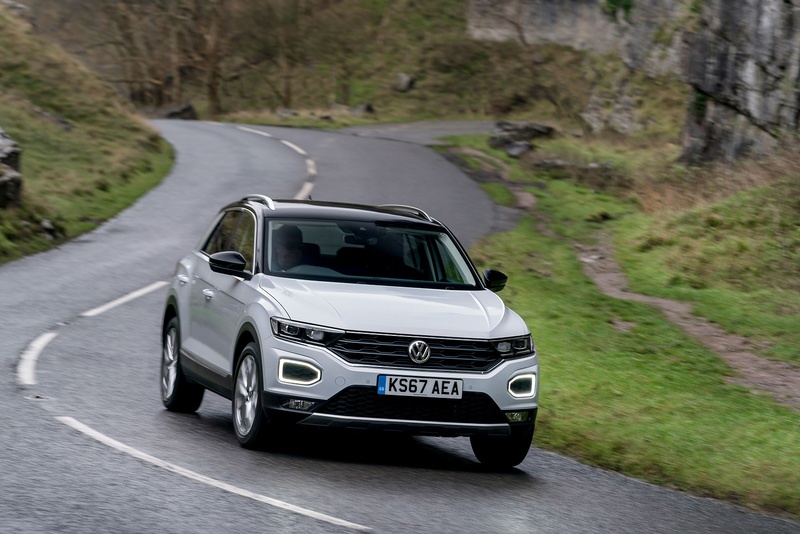 All-wheel drive isn't an especially popular customer option in this segment, but Volkswagen seems to think a lot of T-Toc customers will want it and has packaged up its 4MOTION system with plenty of extra features, primarily a driving profile selection system. This set-up gives you a choice of two on-road profiles ('Street' and 'Snow'). There are a couple of off-road modes too: 'Offroad' (which automatically sets the car up for 'off piste' use) and 'Offroad Individual' (which allows you to set various parameters). For models with front-wheel drive, the 'Driving Profile Selection' system can be specified as an option. Other extras you can add include 'DCC' 'Dynamic Chassis Control' adaptive damping and 'ACC' 'Adaptive Cruise Control'. The T-Roc's extrovert styling is certainly very different to that of Volkswagen's conservative Tiguan. It's smaller too, the compact 4,234mm length not only 252mm shorter than its SUV stablemate but also 21mm shorter than a Volkswagen Golf. The Wolfsburg brand's Head of Design, Klaus Bischoff, and his team have gone for a wide and long stance allied to a relatively low roofline and a steeply raked C-pillar. There are short overhangs too, but despite that, luggage space is quite generous - measuring 445 litres when loaded up to the top of the second row seat backrests. 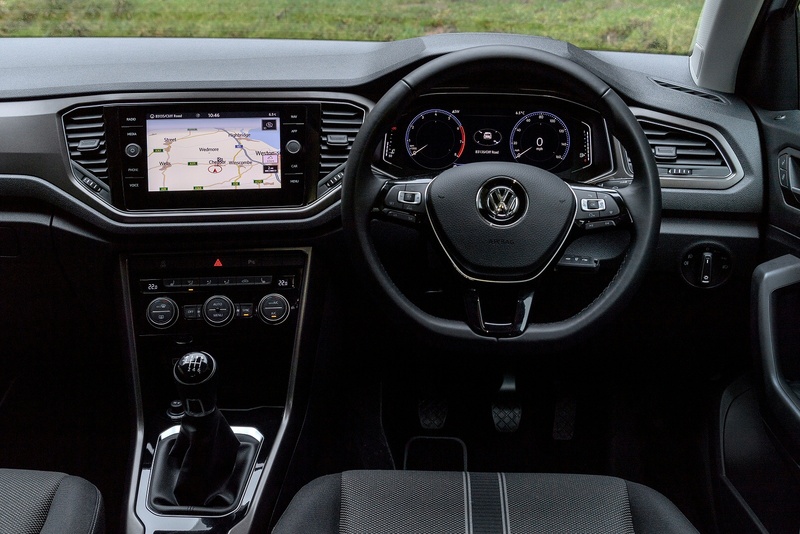 Inside, the cabin looks much the same as that of the Golf, though gives buyers greater scope for personalisation. 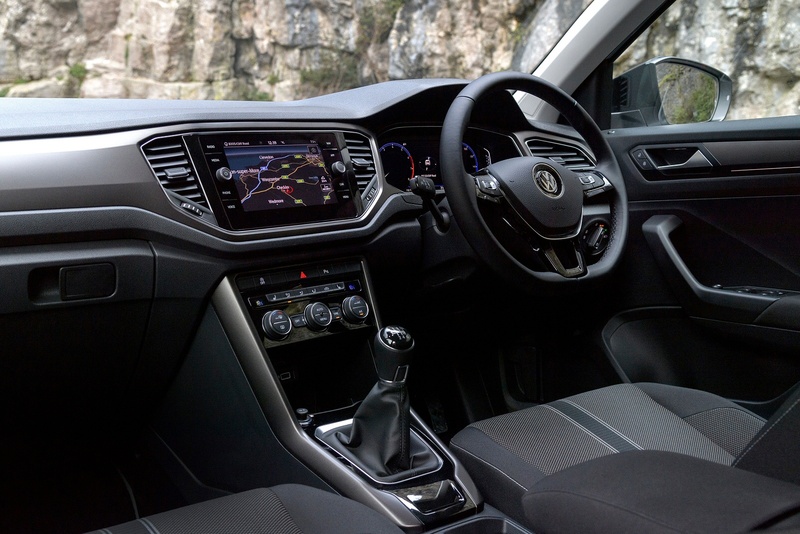 Plusher models get the 'Active Info Display' 10.3-inch TFT instrument binnacle display now available on most larger Volkswagen models, which works in conjunction with an 8.0-inch centre-dash infotainment screen. These two monitors combine to create a digital and interactive cockpit with a wide range of online services and apps accessible via smartphone and the usual 'Volkswagen Car-Net' media connectivity system. As you'd expect, the 'MirrorLink'/'Android Auto' and 'Apple CarPlay' smartphone-mirroring systems are available, as is a 'Security & Service' package which provides support in a wide variety of situations. Highlights include an Emergency Service, Automatic Accident Notification and Roadside Assistance. Prices start from around £19,000, with most models selling in the £22,000 to £25,000 bracket. It's possible to pay a lot more than that though. A top-spec 2.0 TSI 4MOTION variant or example, costs around £31,500. Standard-fit items across the range include 2Zone electronic climate control, a 'Composition Media' infotainment system with an eight-inch colour touch-screen, Bluetooth telephone and audio connection, DAB radio reception, USB connectivity and charging, alloy wheels of at least 16-inches in size and extensive passive and active safety equipment. 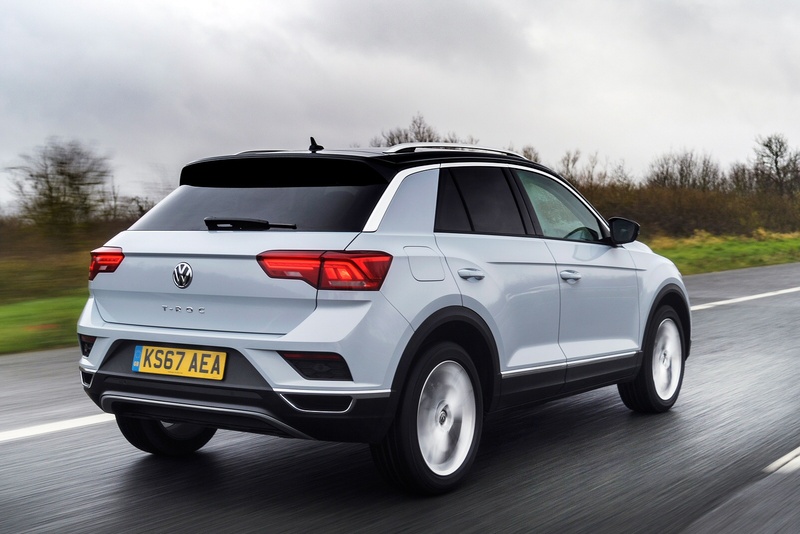 Like most of its rivals in this segment, Volkswagen also offers buyers extensive opportunities for personalisation - things like a contrasting colour for the roof, the A-pillars and the door mirror housing colours and sport-styled bumpers with silver-metallic underbody protection. Inside, you'll be able to specify a choice of colours for the dashboard and the door panels. High end options include an electrically operated tailgate, an electrically operated panoramic sunroof, 'Vienna' leather upholstery, wireless smartphone charging and a 400-watt six-speaker audio system by 'BeatsAudio'. As for safety, well there's Volkswagen's 'Front Assist' autonomous braking system, plus 'Blind Spot Monitoring, a 'Lane Assist' lane-keeping system and a 'Lane Change' set-up incorporating 'Rear Traffic Alert'. As you'd expect, the T-Roc is extremely class-competitive in terms of running costs. The base 1.0-litre petrol model manages around 55mpg on the combined cycle and 117g/km of CO2. Upgrade yourself to the 1.5 TSI EVO petrol engine which can shut down un-needed cylinders of the engine when not in use and the figures are around 50mpg and 120g/km. For the 2.0 TSI 4MOTION model, you're looking at around 40mpg and 155g/km. As for the TDI diesels, well if you opt for the base front-driven 1.6-litre variant, it should be possible to get well over 60mpg and under 115g/km of CO2 on a regular basis. 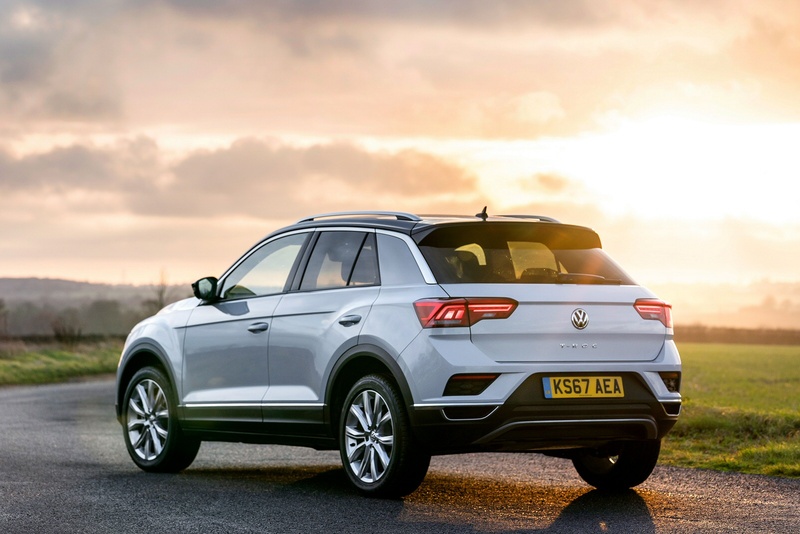 Think in terms of a drop of around 10% in those figures if you go for the front-driven 2.0 TDI model - and a little more than that if you opt for a 2.0 TDI 4MOTION derivative. As for servicing, well as usual with Volkswagen models, there's a choice of either 'Fixed' or 'Flexible' maintenance packages. You'll choose the 'Fixed' approach if you cover less than 10,000 miles a year and with this, the car will typically be looked at every twelve months. 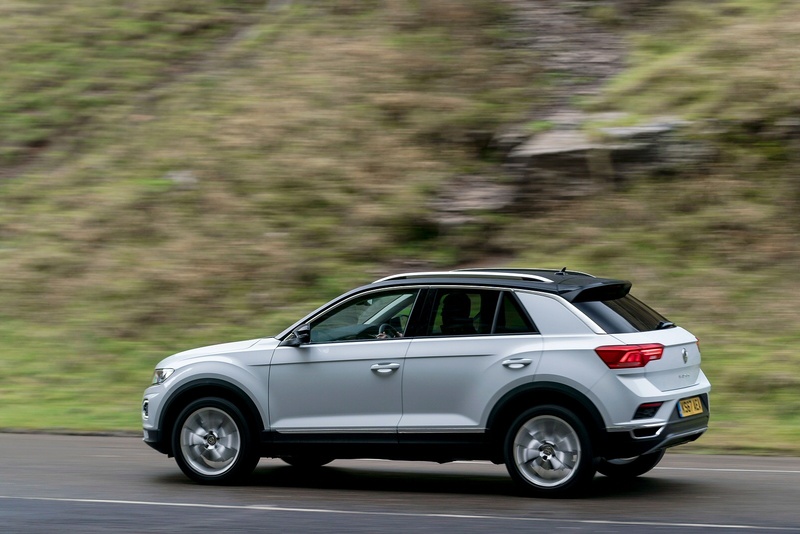 If your daily commute is more than 25 miles and your T-Roc will regularly be driven on longer distance journeys, you'll be able to work with a 'Flexible' regime that can see you travelling up to 18,000 miles between garage visits - or every two years, whichever is sooner. And warranties? Well the standard package is three years and 60,000 miles. 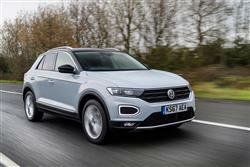 If you�re looking for a new Volkswagen T-Roc 1.6 TDI SE 5dr Diesel Hatchback for sale, you�ve come to the right place. At Bristol Street Motors we don�t just have the best Volkswagen T-Roc 1.6 TDI SE 5dr Diesel Hatchback deals, we also offer friendly advice and help with all your enquiries to ensure your buying experience is a happy experience.